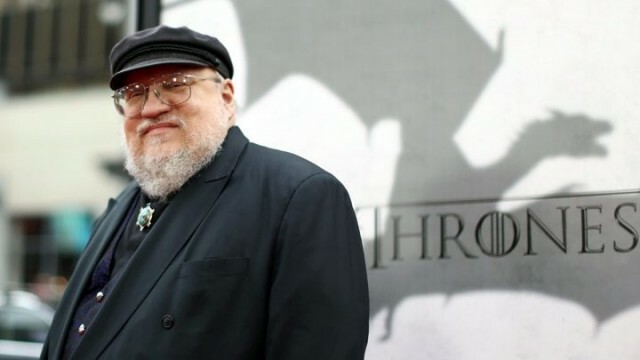 George R.R Martin may have developed a penchant for death and destruction whilst spinning out the brutal, politically-charged A Song of Ice and Fire series, but that doesn’t necessarily mean he’s gunning to conclude Game of Thrones in a fiery apocalypse. Indeed, the author is targeting a “bittersweet” finale, one that will purportedly bear semblance to that found in J.R.R. Tolkien’s seminal The Lord of the Rings. Throughout the course of the acclaimed fantasy series, Martin has used Tolkien’s genre-defining masterclass as a tonal jumping off point, and TV audiences have seen glimpses of that all across HBO’s adaptation – Westeros’ long and bloody history, warring factions, and of course, dragons. Speaking in a recent interview with The Observer, the esteemed author cited the penultimate chapter in Tolkien’s Return of the King (The Scouring of the Shire) as the proverbial goal that he’s drawing inspiration from. For the uninitiated, The Scouring of the Shire takes place in the fallout of the Middle-earth war, where the Hobbits have returned only to find their village overrun by Sharkey, a wizard that was once the villainous Saruman. By referencing this, Martin could mean any number of things; will he, for instance, implement an almighty crescendo into the penultimate act (season?) of Game of Thrones before slowly tying up loose threads left in its wake? Or are we in for multiple endings with Martin’s swan song? Time will tell. Game of Thrones season 6 will hit HBO in spring of 2016.